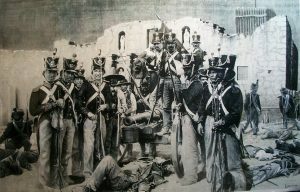 They were fighting for the Mexican constitution of 1824. Santa Ana wanted to simply overthrow it and its guarantees by force of arms and become a dictator with no limits on his behavior. Which he succeeded in doing. Eventually. This entry was posted in News on March 6, 2017 by admin.